Love this post, I get a similar feeling from our mothers group that has been meeting for nigh on ten years. This cheesecake is going on my ‘to make’ list, fer sure. 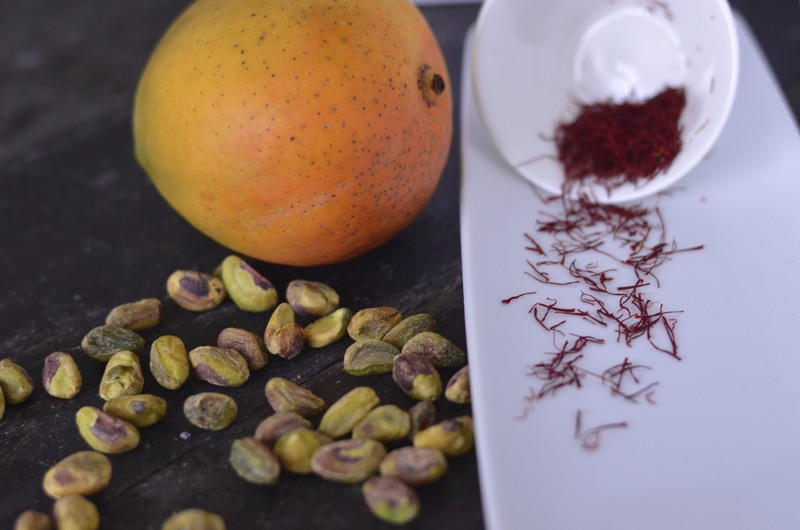 Mango and pistachio together are ‘The Business.’ Looks fab. 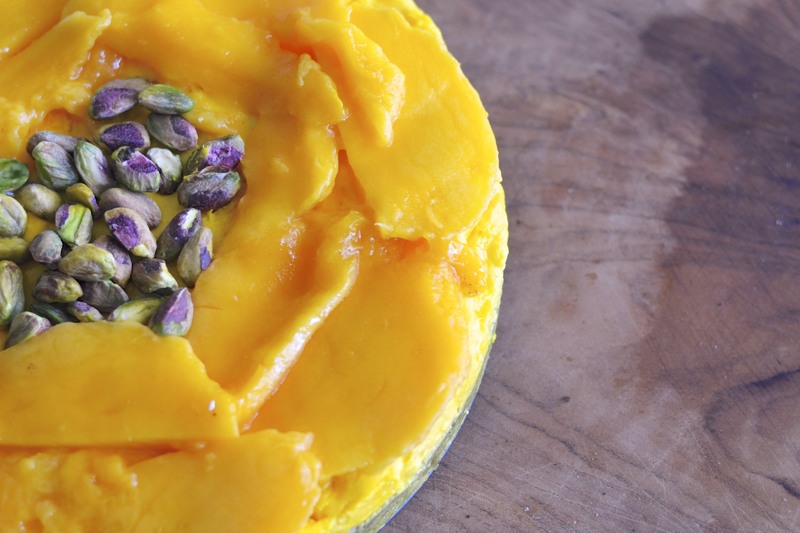 Your Thursday night get togethers sound lovely, love the cheesecake especially then pistachio base and the mango (also known as the happy fruit) contains tryptophan the amino acid that calms the nervous system and helps induce sleep. Great flavor combination, the saffron was a plesant surprise and with those nuts on top, I bet it was the perfect bite of life. Isn’t it a pity that every woman doesn’t have an opportunity to enjoy a “Thursday group” to learn about life and just enjoy being amongst friends? I had one in my younger days and it was as marvelous to me as yours sounds to be for you! Enjoy it and each person you get to share the night with. for sadly, friends like these sometimes pass on, move away and/or become too busy with families to stay in our lives. I wish you many decades of the joy of good friends! That Thursday night group sounds quite lovely!! As does this wonderful dessert!! I am excited to try it out! The combination sounds wonderful and I love the bright colors!